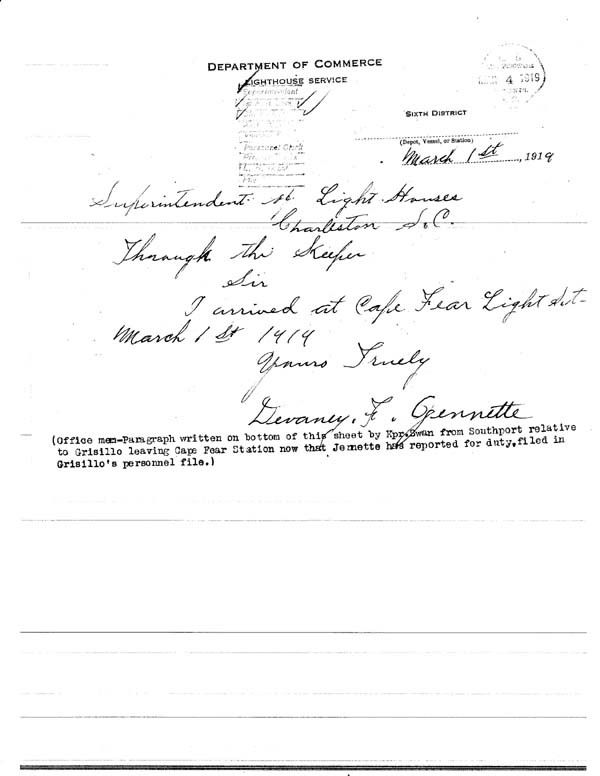 Devaney with grandchildren. 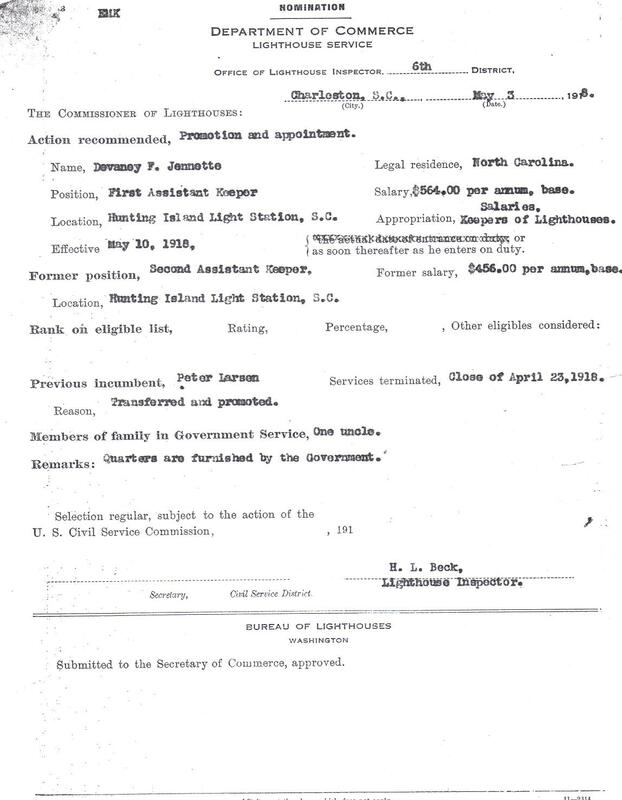 Standing by keepers quarters at the Cape Fear Light. 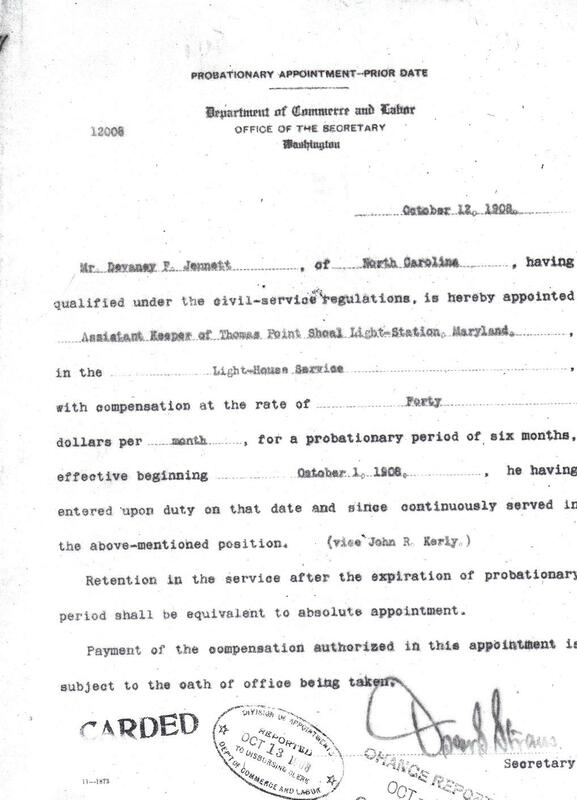 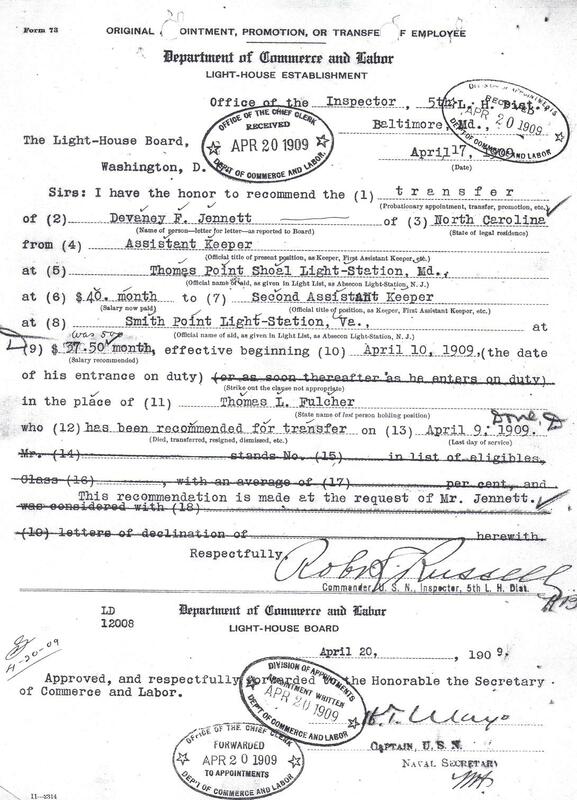 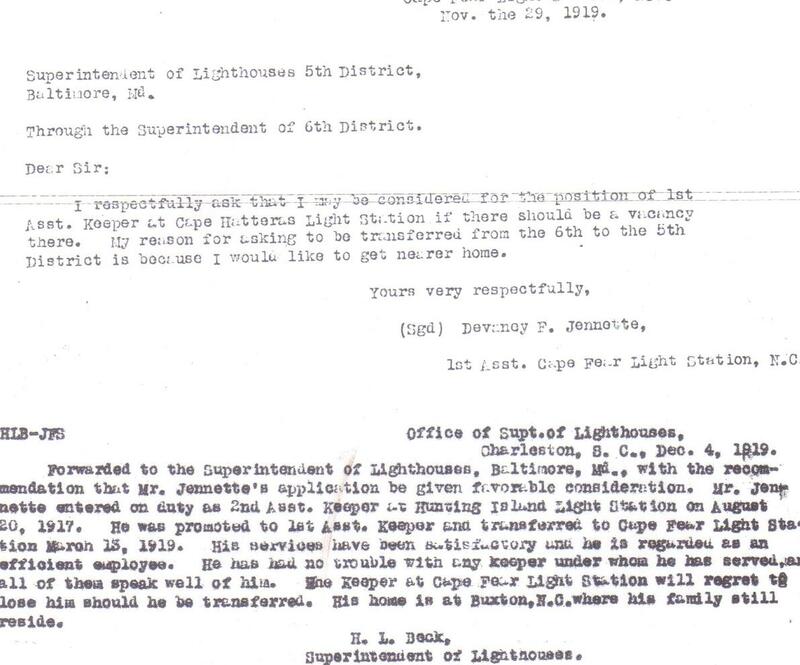 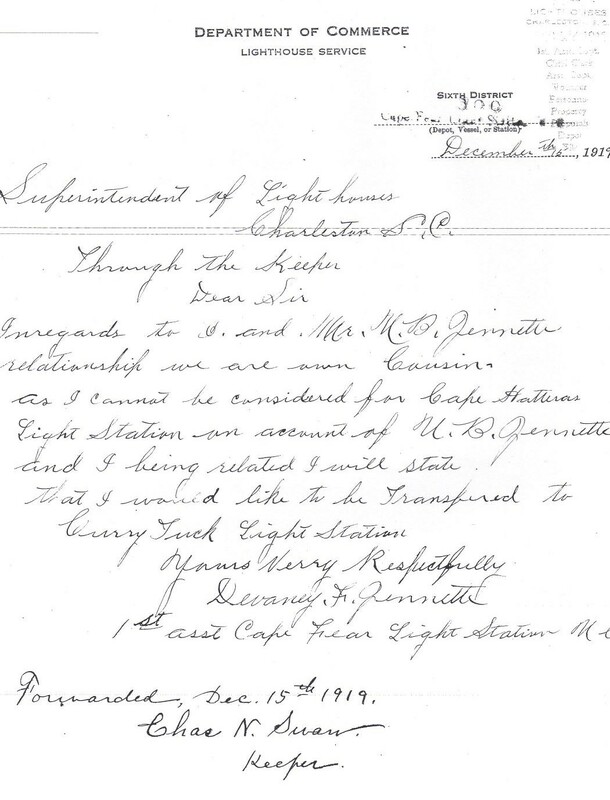 These documents represent only part of the story of Devaney's time spent in the USLHS. 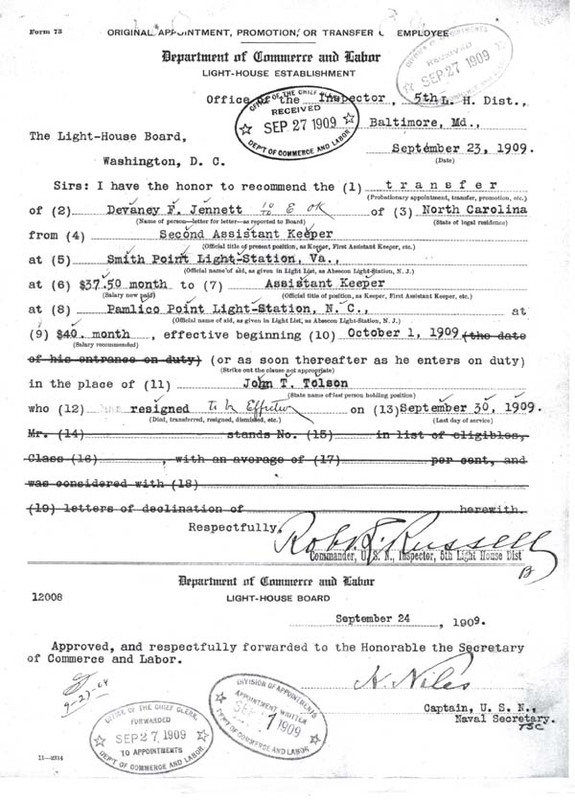 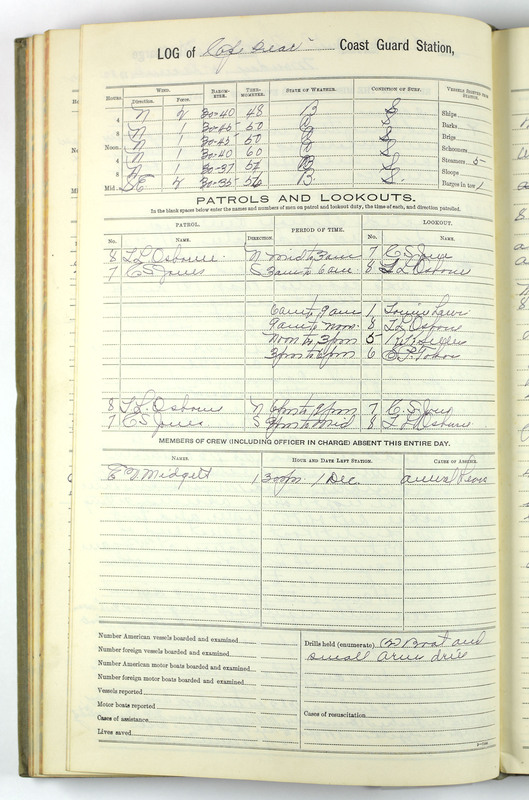 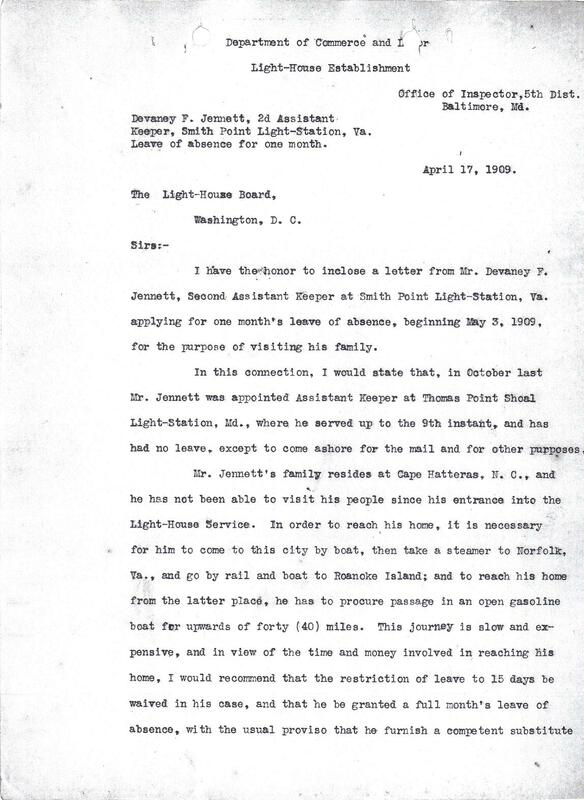 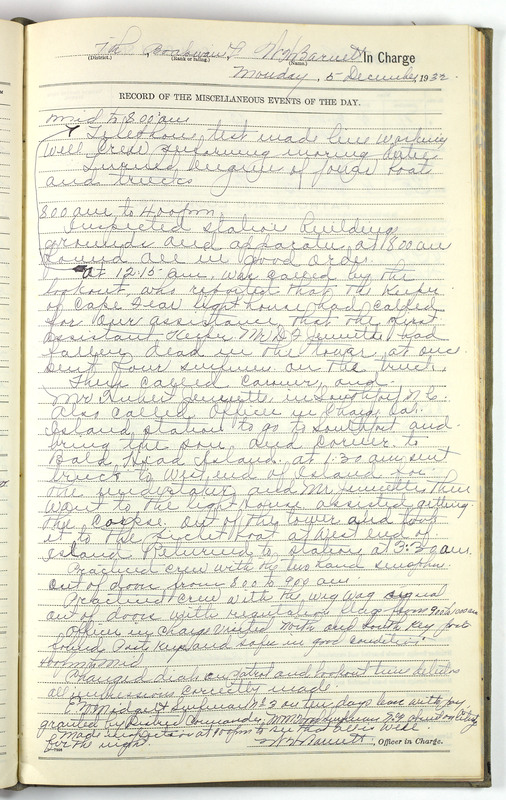 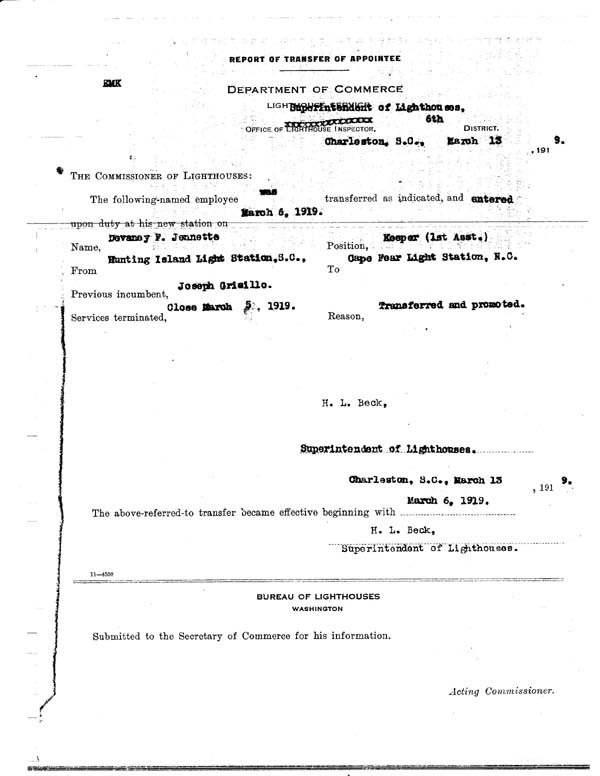 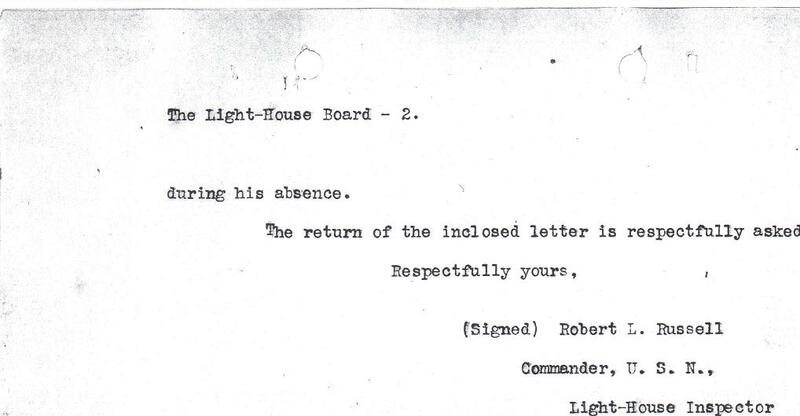 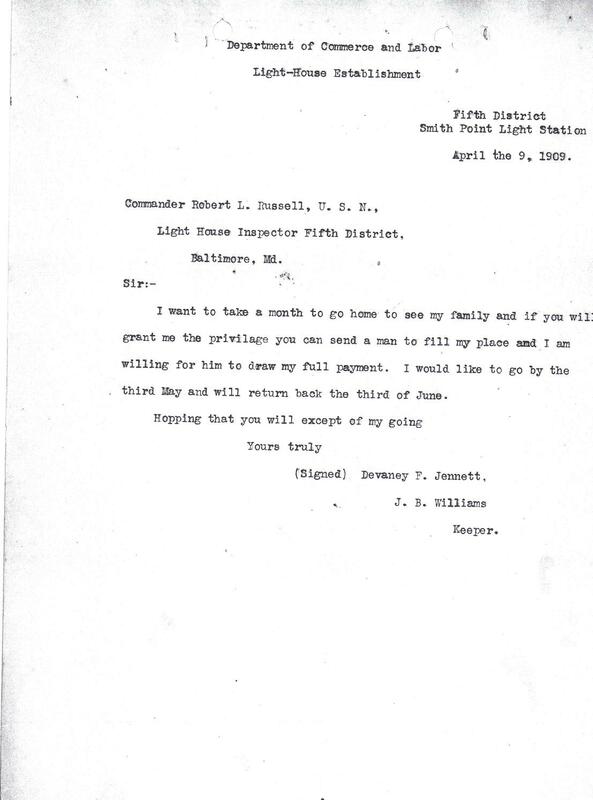 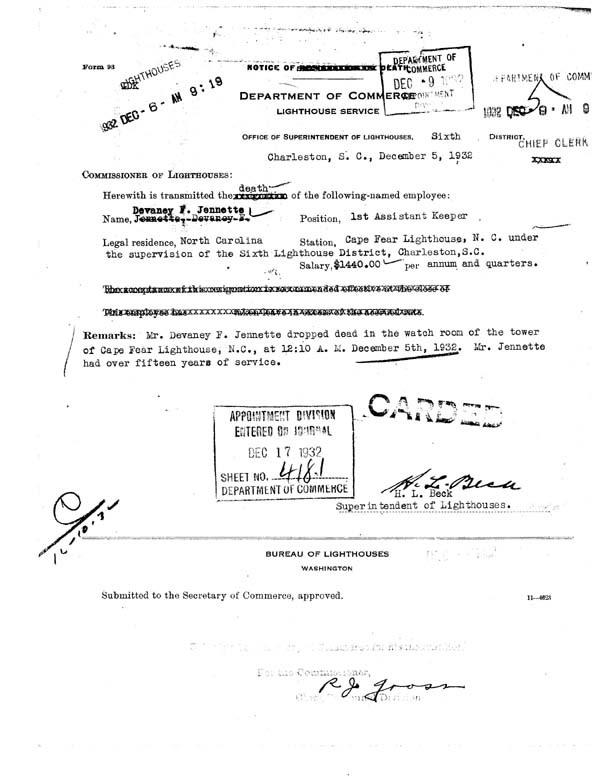 Personnel File obtained from the National Archives by his Great Granddaughter, Dawn F. Taylor.